Hidden folders from SLS1 are displayed after converting to SLS2. The way of handling hidden folders was changed. It is required that you take action on the hidden folders you converted. You need to copy all their content to a new feature, a Hidden Folder. The pages placed inside a hidden folder will not appear in any navigation menu but can be linked to from any other page. SLS2 handles interior page navigation so that you may no longer need to hide sections. Interior page navigation only shows pages and folders at the same level as the open page. As you drill down, the same thing holds true. The old technique of hiding sections from the main navigation menu involved placing a section inside another section. This technique is no longer necessary. 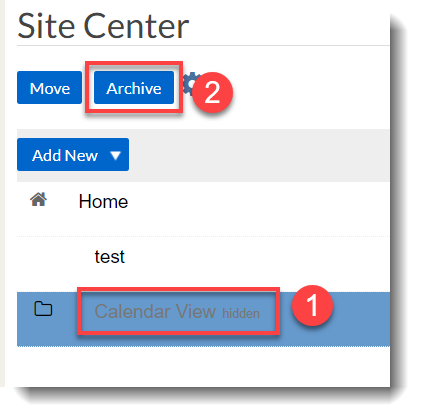 You should move sections with pages to the proper level on the sitemap and then click the title in the sitemap (1) and click Archive (2) to empty the folder. 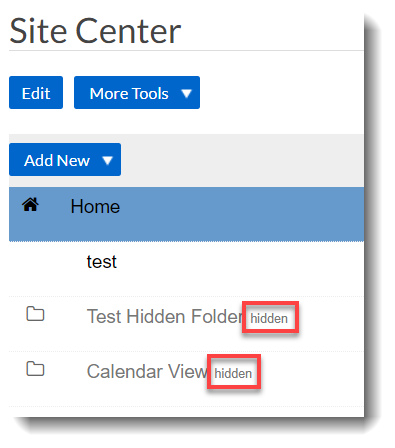 Hidden folders will be labeled as Hidden and can be found in your Site Center page.